OT Systems has been awarded another project by the Food and Environmental Hygiene Department (FEHD) of the Government to deploy over 80 Rapid Deployment CCTV Units at nearly 40 locations in Hong Kong. Illegal dumping, also known as fly-tipping, is identified as a worrying issue in Hong Kong’s urban environment. 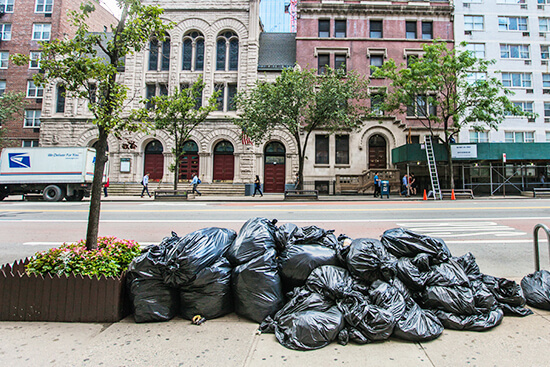 It is reported that waste from construction sites and on-street shops have been illegally disposed of on the roads shared by pedestrians and cars. These waste materials accumulate over time, therefore contaminate the surrounding environment and destroy the scenic view of Hong Kong’s city landscape. The pungent smell and poor hygiene cause nuisance to nearby residents and businesses. Illegal dumping activities are identified as a worrying issue that destroys Hong Kong’s urban environment. It is reported that building materials and food waste from construction sites and on-street shops have been illegally disposed of on the roads shared by pedestrians and cars. These unmanaged waste materials accumulate over time, eventually they contaminate the surrounding environment and destroy the scenic view of Hong Kong’s city landscape. The pungent smell and poor hygiene cause nuisance to nearby residents and businesses. 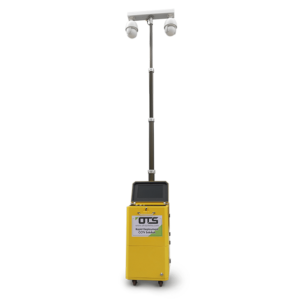 OT Systems Rapid Deployment Monitoring System was engaged for the project to guard the cleanliness of the city streets. Over 80 units are currently deployed in Hong Kong’s illegal dumping hotspots to deter and collect evidence of these offenders. 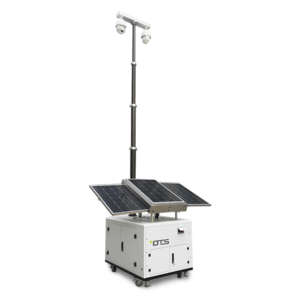 The Rapid Deployment Monitoring System consists of a tough stainless-steel case, a self-powering solar charging generator and wireless 4G router. 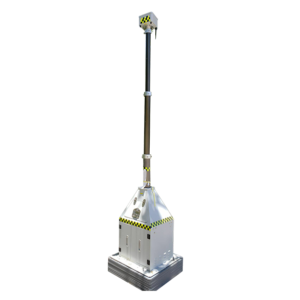 Its high competency allows it to be installed in narrow and crowded streets by using its own electricity and network infrastructure. Additionally, its IP camera can record crystal clean images of fly-tippers on a 24-hour daily basis, stored onto a local storage. 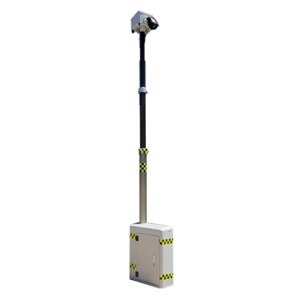 The data captured is then conveyed by a high-speed transmission device, so staff members are able to observe in real-time the status of different locations. The AI-powered video analytics software can send alerts to government officers for critical decision making and dispatching personnel to clean up the identified area. The software also allows the officers to study reports on sources of the illegally-dumped waste and hence, launch policies to prevent further occurrences. 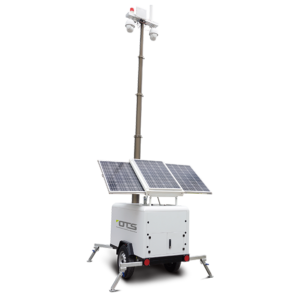 OTS’ IoT Rapid Deployment Security Solution is innovative and ideal for temporary and urgent monitoring. The function of video analytics can be applied for monitoring, detection, big data collection, and also public safety.